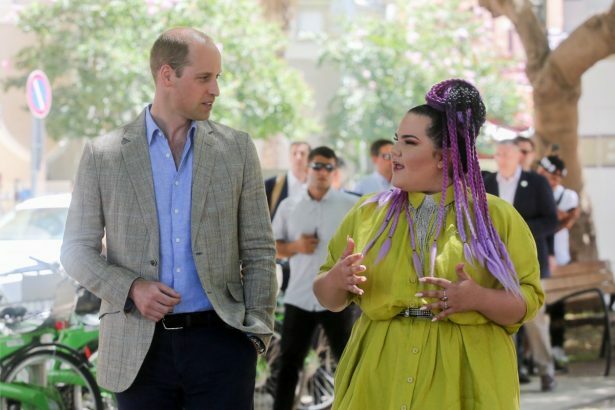 Prince William and the winner of Eurovision 2018 song contest, Netta Barzilai, at Rothschild boulevard in Tel Aviv, 27 June 2018. Photo by Marc Israel Sellem. 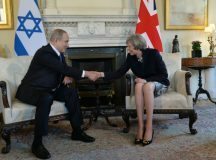 Jonathan Hunter: The term ‘centrism’ evokes images of reason and pragmatism and when it comes to defining the Israel debate, is a call for a rational and tolerant discussion of the issues in order to arrive at pragmatic, thoughtful conclusions. The notion of arriving at a ‘middle ground’ is very old, found in both Rabbinical tradition and classical philosophy alike. One of the most famous Delphic maxims was ‘nothing in excess’ – an ideal most poetically expressed by Euripides’s elderly nurse in his play Medea: ‘The middle way, neither great nor mean, / Is best by far, in name and practice.’ Between the heartless character of Jason, totally devoid of human emotion, and Medea, driven insane by her fanatical dependence on emotions of the most extreme kind, Euripides’s un-named nurse stands as one of western literature’s most profound reminders that in the absence of moderation, human judgment is rendered both self-destructive and harmful to others. As far as the Israel discussion is concerned, that ‘middle way’ has been elusive. 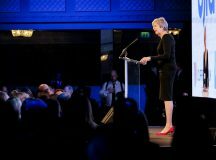 Hysterical discourse that is entirely critical of Israel or unthinking partisanship which allows no room for deep reflection – the Jewish community’s very own Jason and Medea – are where the centre ground should not be. Each tend to speak in abusive or propagandistic tones while the Jewish community needs respectful and reasoned dialogue. Discourse focused entirely on the hysterical signalling of moral virtue is self-destructive to the Jewish community. It sets an example whereby young people are encouraged to demonise those with whom they disagree (or have been told to disagree with), prompting disputes which cannot be settled by rational debate. Such discourse totally discourages critical thinking and does a great disservice to the cause of Jewish education. Our youth are taught simply to believe what they are told by one authority or another, not to question it or to pursue their own enquiries. This is the opposite of the essence of Rabbinical tradition, which is to question everything. The rational endpoint of this frame of debate is the scene we witnessed in Parliament Square: a group of far-left activists deliberately reciting a Jewish mourning prayer for terrorists in order to provoke a reaction, and another group of activists reacting hysterically in exactly the manner predicted. In the absence of a strong moral example from the Jewish community’s leadership, intellectually curious young people are left in the middle of this cross fire. 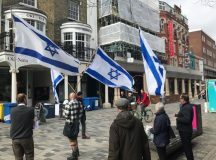 They are told to join one of two groups: either the growing ranks of the hard-left that is entirely devoted to constant criticism of Israeli policy, or alternatively to be a part of traditional Israeli advocacy which is totally averse to any criticism. We founded The Pinsker Centre in 2016 to break this paradigm. We wanted to provide a forum for young people to openly debate – where difference is tolerated and censorship is challenged. We wanted to find the centre – but we also wanted to defend the principles we believe in. Over two years, we’ve hosted contentious debates on topics ranging from counter-terrorism and civil liberties to whether it was right for the United States Embassy to be moved to Jerusalem. 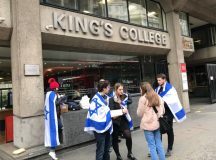 Attracting diverse crowds of students from across the world, we’ve tried to maintain the balance between being staunchly committed to Israel’s legitimacy whilst being able to freely voice opinions critical of aspects of Israeli policy. That is where we think the centre is. JH: The notion of certain kinds of speech being ‘acceptable’ can be discomforting at best – orwellian at worst. The assumption that some speech is ‘unacceptable’ and therefore should not be heard leads to the eventual question: who is to determine what is, and what isn’t, ‘acceptable’? Someone with a certain ideological bias could simply determine that anyone with an opposing view was ‘unacceptable’. It is not for anyone to say what kind of idea is or isn’t ‘acceptable.’ Rather, it is up to anyone with strongly held views to advocate for them, to publicly debate them, and to convince others of them. By creating a marketplace for ideas and a forum for debate, members of the Jewish community can see which arguments are strong and convincing and which are extreme or devoid of reason. The latter kind of discourse is objectively identifiable by any reasonable observer. It entails the kind of extreme ideological criticism of Israel which purposefully ignores facts, which often resorts to abuse, and works day and night to delegitimise the very existence of Israel. However there is a more prevalent kind of unbalanced engagement with Israel, of a more worrying (albeit less extreme) character. 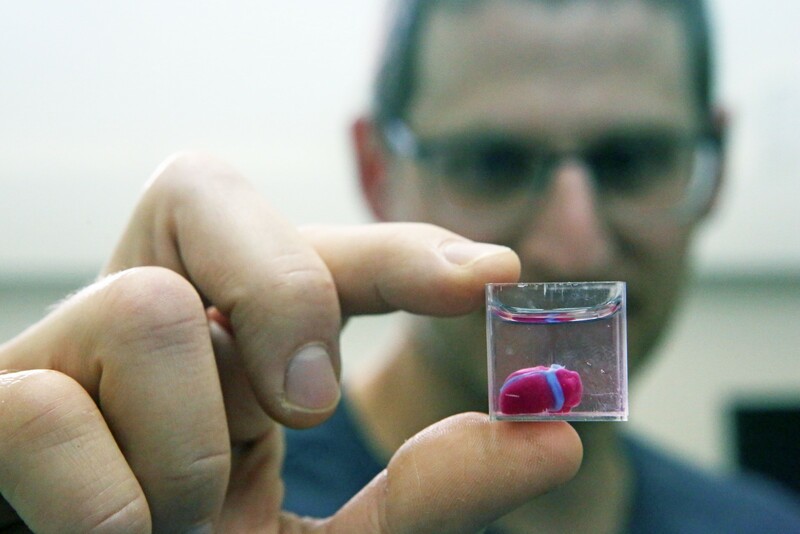 Various Jewish communal institutions increasingly ignore the extremely colourful and vibrant diversity of Israeli civil society and disproportionately focus on exclusively engaging with groups hailing from one side of the political spectrum. There is nothing wrong with engaging with any controversial group or individual, but by constantly presenting only one side of the political spectrum, the message is sent that there is only one side worth engaging with. The result is social marginalisation on the basis of what people believe. Even more than the political positions of educators is the quality of the discourse they contribute. 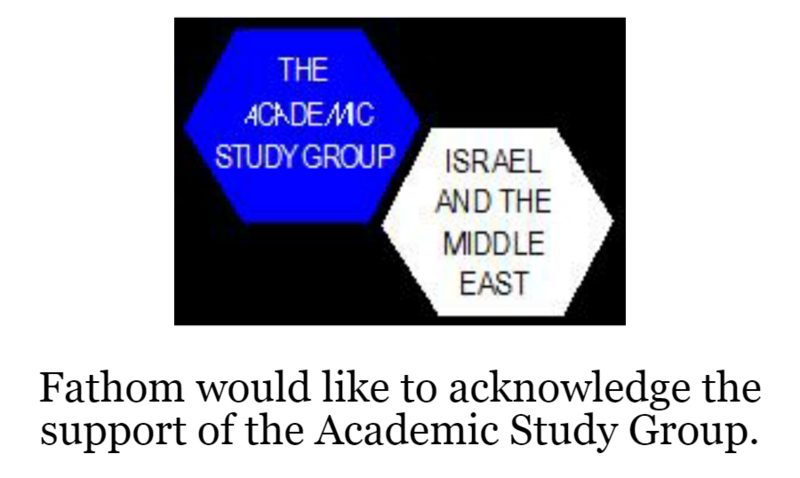 As well as being respectful to others the educator must also be genuinely qualified to make informed and rational assessments of Israel and its culture, history and society. The term ‘Israel engagement’ is essentially a phrase coined by corporate PR to ‘hygienically’ refer to an extremely controversial form of education. For such education to be profound, effective and genuinely impactful, educators must be at the top of their fields, and professionally qualified in the areas they comment on. In other words, educators must know what they’re talking about. In contrast, the sort of armchair punditry coming from self-styled experts does indescribable harm to the cause of education. If someone is not in a position to answer tough questions because they do not have the requisite experience and knowledge, it is guaranteed that they will misinform their audience. On campus, this was all too common. Students were not being educated on policy from experienced policymakers, or on history from trained historians. Rather than hear repetitive soundbites about ‘Palestinian rejectionism’ taken from a leaflet for an American audience, we wanted to hear from the negotiators themselves. So we made it happen. We hosted discussions with Ehud Olmert and Dan Meridor across the country; the individuals who actually led the negotiations at Annapolis and Camp David respectively. This is only one example of the quality of discussion we should be facilitating: the point being, for education to be effective, we need to set the bar much higher. JH: The cliché sourced variously to Winston Churchill and Spiderman is ‘with great power comes great responsibility’. True, though so is its inversion. For a community such as ours, with limited power comes even greater responsibility. 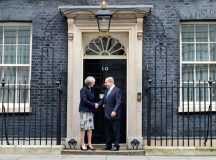 Anglo-Jewry lacks the numbers to wield much electoral power. Our words are our strength, and we have a responsibility to use them wisely. 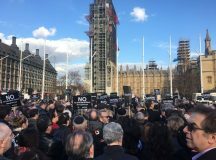 If a member of the Jewish community is in a position of public recognition, the Jewish community need them to speak out against antisemitism, especially the kind which masquerades under the guise of ‘merely’ boycotting the Jewish state. In this context, we should worry less about ‘policing’ what British Jews say about contemporary Israeli policy and be more concerned by the fact that there are dozens of prominent British Jews who have nothing to say at all. We should have little concern about personal opinions giving ‘tail wind’ to anti-Israeli extremism compared to the fact that there are not enough leaders speaking against such extremism in the first place. There is a rising climate of antisemitism on the political left. 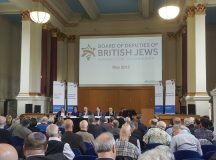 It is nearly entirely linked to a brand of extreme anti-Zionism which apologises for 9/11 conspiracy theorists, Hamas terrorists and Holocaust ‘revisionists.’ If the British Jewish communal leadership wishes to weigh in on the conflict, it needs to prioritise challenging the threats it faces from those who obsessively seek to dismantle the only Jewish-majority member state of the United Nations. The increasing normalisation of antisemitic discourse in public life is the greatest threat facing the Jewish community today. Yes, the communal debate about Israeli policy is important and criticism of Israeli policy can be an important and healthy part of this debate. Yes, the Jewish community have a responsibility to be honest, to tolerate all reasonable differences of opinion and to foster a vibrant communal discourse. 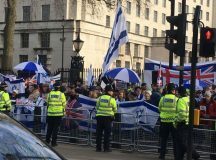 However British Jews have a far greater responsibility to speak out publicly against the rising intolerance, threats, and hatred faced by British Jews.